​Cedar Ridge has adopted the Standards Based Report Card (SBRC) grading system starting with the 2018-2019 school year. This will be new to teachers, students, and parents. Please be patient as we all go through the SBRC learning curve. Students will be receiving the same instruction as last year. (4) Student demonstrates early mastery of this standard and is working to expand and deepen understanding. (3) Student is working at expected grade level proficiency at this time and is on track to master the standard by the end of the school year. (2) Student is working below grade level proficiency at this time and will need targeted support to master the standard by the end of the year. Most assessments are geared toward determining whether a student has met grade-level proficiency which would result with a score of a (3). 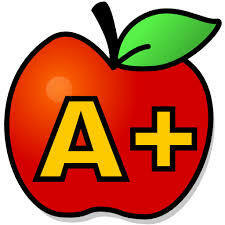 It will be rare for a student to receive a (4) due to the academic level of the assessment.